Fitting this one is because that's what it takes! Fitting it in every day takes practice. That's what happens when a person works full time, creates WODs everyday, hangs out with his wife and children. Ok I'll stop talking in the third person. We all have the same 24 hours in the day. How will you CHOOSE to SPEND yours? I hope you'll TAKE the time, which will only take about 10-20 minutes to complete today's WOD. Go and get after it #Kobernation! If you enjoyed this post about Fitting It In Every Day, retweet and comment below what was most noteworthy please. Coming from a place of motivation and change can be difficult to find. Movement Comes From Within your body and soul. Today's WOD will provide you with the exact blueprint to keep moving and stay motivated. People reach out to me daily now and the more it happens the more I learn about myself. I only want to work with people who are READY to work with me. Meaning that if you need constant 24/7 hand holding you've stopped at the wrong place. Don't get me wrong, I'll BE there for you 24/7 but I won't work harder on YOUR life. With each WOD that gets created you will find change that you've never imagine happening. That's why I'm around to assist in these changes. Your spouse might be treating you differently because of these changes. That's something you may not be ready for yet, but it's ok, I'll be there. As a result of this concept of movement Comes From Within you will find yourself more motivated to try new things and meet new people. That too might be an unfamiliar place to be for people around you. That's OK too. I'll be there to help you through it. It just takes practice being the new you. So let's get to the movement shall we? 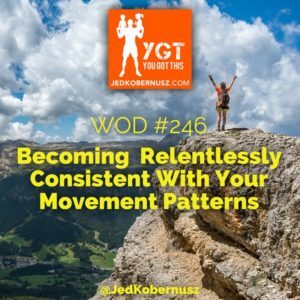 If you enjoyed this post about how Movement Comes From Within , retweet and comment below what was most noteworthy please. Tired in the middle of the day? WOD #190 can be done MANY times over again because you'll learn the most efficient simple energy boosting movement called Full Body Extensions. 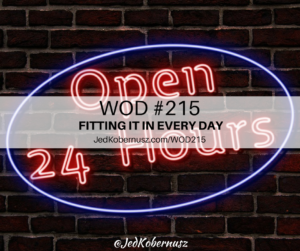 #Kobernation, you KNOW what a Full Body Extension is and today you get to choose how hard or easy your WOD is today. You will have the option of rounds AND reps today. The art of a Full Body Extension is that your heart rate increases while the impact does not. This is a beautiful thing when it comes to joint health. Too many people think that high intensity needs to be high impact. No way Jose'. Take today's WOD and use it whenever you need an energy boost. The more energy you want will equal the amount of rounds and reps you complete. Mid afternoon is most common time to have this need for your energy boost. Rest 30-60 Seconds In Between Each Round. 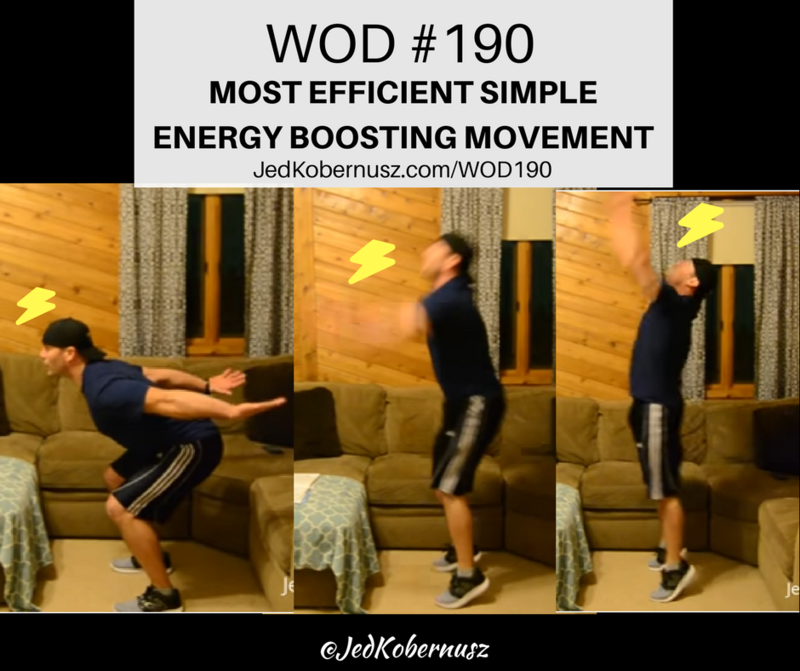 If you enjoyed this post about Most Efficient Simple Energy Boosting Movement, retweet and comment below what was most noteworthy please.